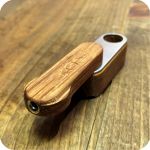 This wood and metal monkey pipe is a seriously high functioning travel pipe for smokers of all kinds. 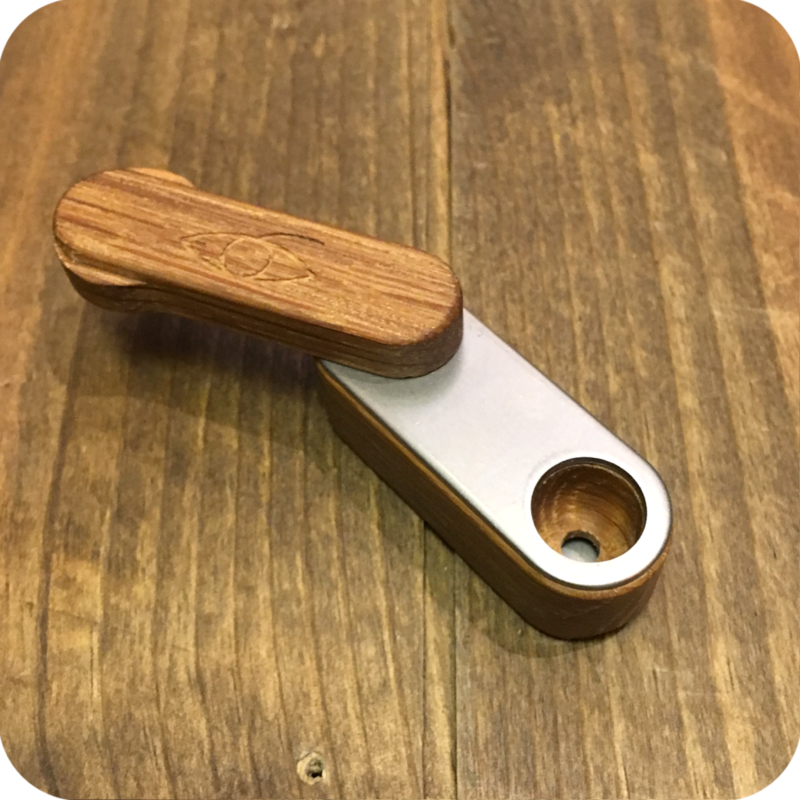 It is a very unique Swiss army knife type of pipe, made for travelers. 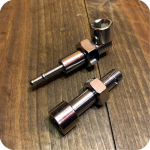 When closed the pipe is just about two inches long, perfect size to fit in any pocket, purse, etc. This pipe has three layers that slide open and close for convenient access and smoking. The bottom wood piece contains the bowl, as well as a separate stash opening for holding and carrying your legal herbs. 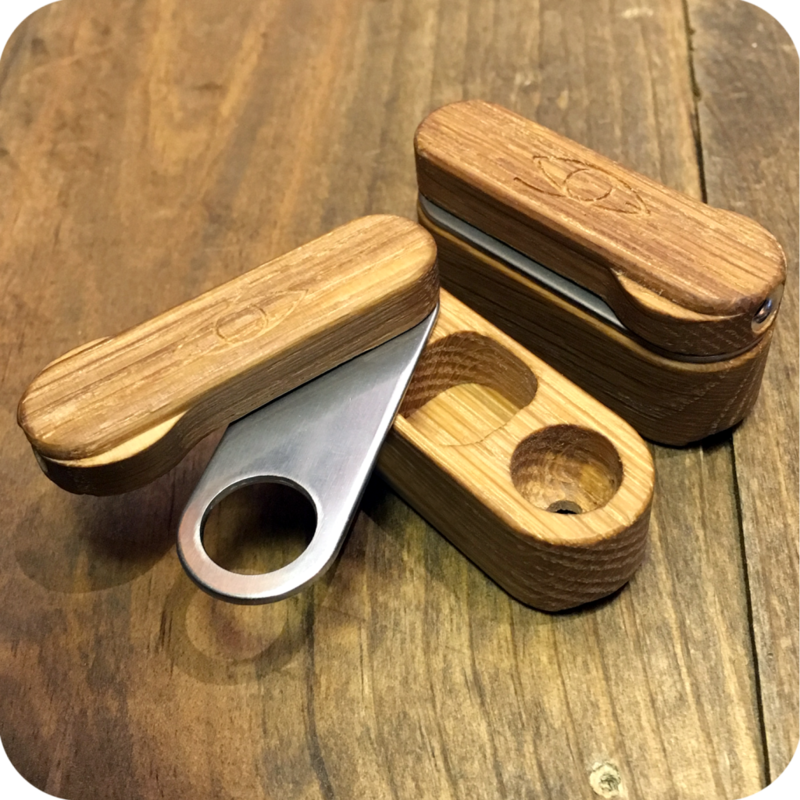 The next layer is a slideable metal screen, that keeps your stash safe and covered. Finally, the last layer is the mouthpiece. 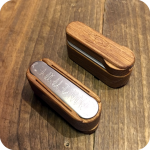 As pictured, the mouthpiece slides open and close. Keep it closed for safe and compact travelling. When it’s time to light up, open it back up and your ready to go! Additionally, there is a metal piece on the bottom that slides off for easy cleaning. 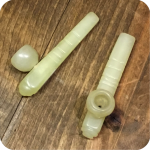 This pipe also pairs perfectly with I-Tal Hempwick. Hempwick is spun from 100% hemp fibers and is a healthy alternative to lighting up directly with a butane lighter. To use, light the very end of your hempwick with your lighter, then use the lit end of your hempwick to spark up your Wood and Metal Monkey Pipe. It is as easy as that! You will notice an immediate improvement in taste, and you will spare your lungs the harmful toxins included in your butane lighter. 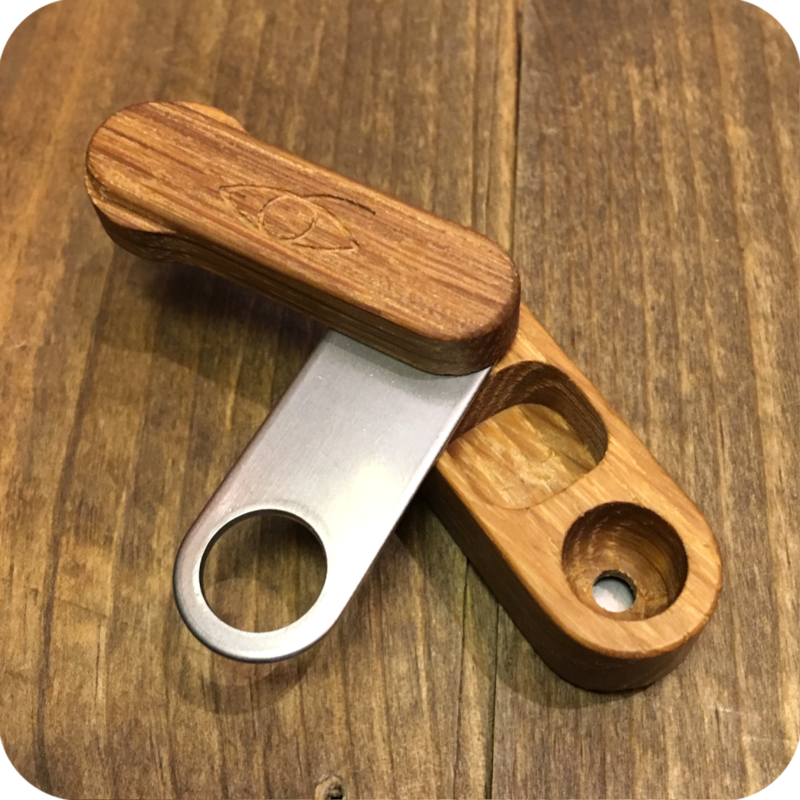 Be sure to check out awesome travel pipes and one-hitters carried here at Sunflower Pipes, such as this Stone Cigarette Bat. Also be sure to swing by either one of our two Brooklyn store locations and come see what all we have to offer! Tags: Monkey Pipe, Travel Pipe, Wood and Metal Monkey Pipe, Wood Monkey Pipe.